Darline Dobson Bowdler, 88, resident of Henryetta, passed away Saturday, Feb. 2. Darline was born June 30, 1931, in Henryetta to Randle and Irene Dobson. 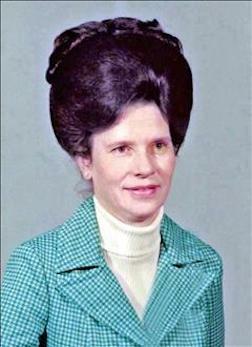 Darline was a member of the Dewar United Pentecostal Church. She retired from Ball, Inc. of Okmulgee at the age of 62. Darline made pies and sold them to support Partners in Missions for many years before and after her retirement. She was a loving mother and friend to those who knew her. Darline was preceded in death by her parents; three brothers, Cecil Dobson, Garnett Dobson, and Ronald Dobson; and two sisters, Sue Ray and Clara Stehwein. Darline is survived by two daughters, Devie Chavez of Tulsa and Teresa Jennings and husband Jimmy of Sapulpa; three grandsons, Travis Jennings and wife Shannon of Mounds, Steven Chavez and wife Deepa of New York, and Jeremy Jennings and wife Jessica of Tulsa; nephew, Jeff Gutierez of Okmulgee; five great grandchildren, Trevor Jennings, Jorden Jennings, Lucas Jennings, Kyndell Jennings, and Uma Chavez; three brothers, TJ Dobson of Texas, Virgil Dobson of Missouri, and Alvis Dobson of Kansas; one sister, Sondra Gutierez of Okmulgee; as well as a host of nieces, nephews, friends, and other relatives. Funeral services will be at 2 p.m. Friday, Feb. 8, at the Dewar United Pentecostal Church with Rev. Matthew Martin officiating. Interment will follow at Westlawn Cemetery under the direction of Integrity Funeral Service. Pallbearers will be Steven Chavez, Travis Jennings, Jeremy Jennings, Jeff Gutierez, and John Stehwein.